You could say Alaska's history is just one big adventure after another. Our history is dotted with ideas and projects as big as the state itself. From the first humans to cross the Bering Land Bridge to those who came after, all had a daring, can-do spirit. From explorers to gold miners to teachers to farmers, each was eager to go where no one had gone before. These fearless folks shaped Alaska and you can still see their impact today. As you look over this timeline, you can click on a number of items to learn more about these key events and the people behind them. 2 billion years ago until humans arrived, Alaska formed, was warm, then cooled. Humans inhabit southeastern, Aleutians, Interior, and northwestern Arctic Alaska. Most recent migration from Siberia across the land bridge. Earliest migration believed to have taken place 20,000 or more years ago. Humans inhabit the Bering Sea Coast. Vitus Bering sent by Peter the Great to explore the North Pacific. Vitus Bering and Alexei Chirikov, in separate ships, see Alaska. Georg Steller, the naturalist on board with Bering, goes ashore on Kayak Island, the first European known to have set foot on Alaska soil. Russians begin hunting of sea otter, continuing until the species is almost killed off completely. A permanent Russian settlement is established at Unalaska. Explorations of Alaska waters by Juan Perez, James Cook, and George Vancouver. Russians build their first settlement on Kodiak Island at Three Saint's Bay. George Vancouver sights Mount McKinley, the first record of its existence. Alexander Baranov establishes the Russian post known today as Old Sitka. A trade charter is granted to the Russian-American Company. Russian exploration of the mainland leads to the discovery of the Kuskokwim, Nushagak, Yukon, and Koyukuk Rivers. Father Herman, last survivor of the original Russian missionaries to Alaska, dies on Spruce Island near Kodiak. The Missionary School at Sitka opens, offering the study of Aleut, Tlingit and Eskimo languages, medicine and Latin. Fort Yukon is established by the Hudson’s Bay Company. American whalers first enter the Arctic Ocean through Bering Strait. Russian explorer-trappers find the first oil seeps in Cook Inlet. The U.S. Navy explores the North Pacific around the Aleutian Islands and the Bering Sea. Baron Edouard de Stoeckl, minister and chargé d′affaires of the Russian delegation to the United States, is given authority to negotiate the sale of Alaska. Russians estimate Native Alaskan Christians at 12,000, with 35 chapels, 9 churches, 17 schools, and 3 orphanages in 43 communities. United States under President Andrew Johnson buys Alaska from Russia for $7.2 million. The treaty is signed on March 30 and the formal transfer takes place October 18 at Sitka. The U.S. Army is given control of the Department of Alaska. The Alaska Times, the first newspaper to be printed in Alaska, is published in Sitka. Gold is discovered near Sitka. First salmon canneries established at Klawock and Old Sitka. U.S. Navy destroys the Tlingit village of Angoon. Lt. Frederick Schwatka conducts a military survey of the Yukon River from source to mouth. An Organic Act gives Alaska its first civil government. Lt. Henry Allen explores the Copper River. First oil claims staked in the Cook Inlet area. Klondike gold rush in Yukon Territory produces heavy traffic through Alaska on the way to the gold fields. Gold is discovered on Nome beaches and the U.S. Geological Survey begins mapping Alaska. The Harriman Expedition, organized and financed by railroad tycoon Edward H. Harriman, sails from Seattle on May 30 to Alaska. The two month-expedition travels 9,000 miles through the Inside Passage, over to Cook Inlet and then southwest to Kodiak and Unalaska then north to St. Lawrence Island. First oil production at Katalla; Telegraph line from Eagle to Valdez is completed. Alaska gets a nonvoting delegate in Congress. Governor’s office moves from Sitka to Juneau. President Theodore Roosevelt establishes both the Tongass and Chugach National Forests. Sourdough Expedition reaches summit of the North Peak of Mount McKinley. Copper production begins at Kennicott. Mount Katmai explodes and Mount Novarupta dumps 700 feet of ash and rock during the most explosive volcanic eruption event of the century. First territorial Legislature is convened. First law passed gives women the right to vote. First airplane flight in Alaska at Fairbanks. First automobile trip from Fairbanks to Valdez. First man to stand atop the true summit of Mount McKinley on June 7 is Walter Harper, an Athabascan Indian. Others with him: Harry Karstens, Robert Tatum, and expedition leader Hudson Stuck. President Woodrow Wilson authorizes construction of the Alaska Railroad. Construction begins in Anchorage of the Alaska Railroad. First bill proposing Alaska statehood is introduced in Congress. Mount McKinley National Park created. First pulp mill starts production at Speel River near Juneau. President Warren Harding drives the final spike to complete the Alaska Railroad. Thirteen year-old Benny Benson’s design for the new Alaska Flag is adopted by the Alaska Territorial Legislature as the official flag. Matanuska Valley Project begins as farm families move to Alaska during the Great Depression. 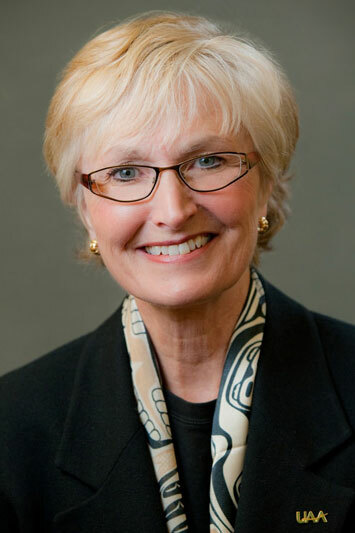 Nell Scott is the first woman appointed to the Alaska Legislature. Military buildup in Alaska. Fort Richardson, Elmendorf Air Force Base are established. Alaska’s population includes about 32,000 Alaska Natives and 40,000 non-Natives. Pan American Airways starts twice-weekly service between Seattle, Ketchikan, and Juneau using Sikorsky flying boats. Dutch Harbor is bombed and Attu and Kiska Islands are occupied by Japanese forces. Alaska Highway is built providing the first overland connection to the rest of the United States. Japanese forces are driven from Alaska. Oil well is drilled near Eureka, on the Glenn Highway, marking the start of modern oil history. Congress passes Alaska statehood measure. President Dwight Eisenhower signs statehood measure on January 3, making Alaska the 49th state. Alaska’s first general election is held. State ferry service to Southeast Alaska begins. Good Friday earthquake of March 27 causes heavy damage in the Gulf Coast region and kills 131 people. First winter ascent of Mount McKinley. Oil and gas discoveries at Prudhoe Bay on the North Slope. Federal government sets aside 500,000 acres for Chugach State Park. Congress approves Alaska Native Claims Settlement Act, granting title to 40 million acres of land and providing $962.5 million in payments to Alaska Natives. The first Iditarod Trail Sled Dog Race begins on March 3. Trans-Alaska pipeline receives final approval; construction buildup begins. Population and labor force soar with the construction of the pipeline. Voters select Willow area for a new capital site. The 800-mile trans-Alaska oil pipeline from Prudhoe Bay to Valdez is completed and the first tanker of oil from Valdez is delivered to Puget Sound. Congress designates the Iditarod trail as a National Historic Trail. Alaska National Interest Lands Conservation Act of 1980 adds 53.7 million Alaska acres into the national wildlife refuge system, parts of 25 rivers into the national wild and scenic rivers system, 3.3 million acres into the national forest lands, and 43.6 million acres into national park land. Alaska Legislature repeals the state income tax, creates the Permanent Fund, a savings account for oil taxes collected, and a dividend program to pay residents a portion of the profits from the fund. The 1980 Census shows Alaska’s population grew by 32.4 percent during the 1970s. Voters refuse to authorize spending money to move the capital to Willow, leaving the capital in Juneau. First Permanent Fund Dividend checks of $1,000 each are mailed to every 6-month resident of Alaska. All of Alaska except westernmost Aleutian Islands move to Alaska Time, one hour ahead of Pacific Time, reducing the time zones in the state from 3 to 2. State of Alaska celebrates its 25th birthday. Libby Riddles becomes the first woman to win the Iditarod Trail Sled Dog Race. State purchases the Alaska Railroad. Oil prices drop to $10 per barrel upsetting the economy. Mount Augustine in Lower Cook Inlet erupts. The Iditarod is won by a woman for the second year in a row. This time the winner is Susan Butcher. Oil prices remain low and the state’s economy continues to suffer. Banks close. Housing prices plummet. For the first time in years, more people leave the state than arrive. Whales stranded in the ice near Barrow gain international attention with a valiant rescue effort. Soviets allow Alaskans a one-day visit to Providenya. Worst oil spill in U.S. history occurs on March 29 when the Exxon Valdez runs aground spilling 11 million gallons of oil into Prince William Sound. Federal authorities take over management of subsistence use on federal land. Walter Hickel elected governor on the Independence ticket. 8 millionth barrel of oil flows through the Trans-Alaska Pipeline. Mount Spurr erupts and dumps ash on Southcentral Alaska. One of Alaska’s oldest newspapers, the Anchorage Times, closes. Sitka Pulp Mill and Greens Creek Mine in Juneau both close. Tony Knowles elected ninth governor of Alaska and Fran Ulmer served as the first female Lieutenant Governor in Alaska history. Wildfires destroy $8.8 million in homes and other buildings in Southcentral Alaska. Voters pass initiative making English the official language of the state. Bill passes legislature requiring all high school students to pass an exit exam to earn a diploma. Delegates from 62 Alaska tribes sign an agreement formalizing tribal relations with the state. U.S. Congress defeats an amendment to open the Arctic National Wildlife Refuge to oil development. Wildfires burned 6.7 million acres, setting a new record. Voters elect the state’s first female governor, Sarah Palin. Lance Mackey becomes the first musher to win both the Yukon Quest International Sled Dog Race and the Iditarod Trail Sled Dog Race in the same year. Oil prices hit a record $147.27 per barrel price in July. John McCain picks Sarah Palin as his running mate in the presidential election. Sarah Palin resigns as governor with nearly 2 years left in her term. Alaska loses two leaders who shaped the state over the last 40 years. Former Governor Wally Hickel passes away at age 90 on May 7, 2010. 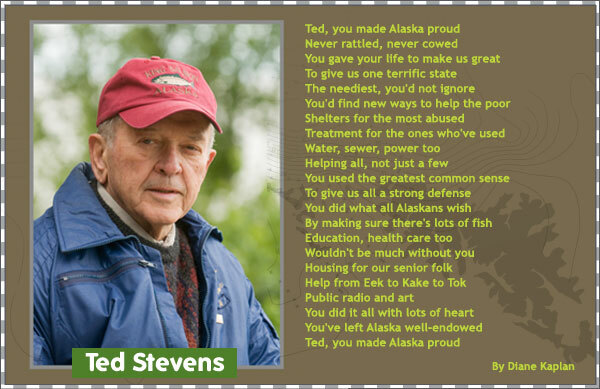 Ted Stevens, who served as Alaska's U.S. Senator from 1968 until 2008, is killed in a plane crash with four others near Dillingham on August 9.